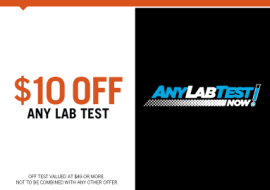 Whatever Your Reason, ANY LAB TEST NOW® Has a Solution for Your Drug and Alcohol Testing Needs. We provide easy and fast drug tests that are performed by qualified DOT collectors, and are 100% confidential. We’re confident we can help you. Whatever the reason, give us a call and let us help. To get fast, free, no obligation information call (815) 397-8370 or setup an appointment and let ANY LAB TEST NOW help you with your drug testing need today. You will be 15 minutes in and out. Call (815) 397-8370 ANY LAB TEST NOW® for Affordable, Convenient, Quick and Anonymous Drug Testing and Alcohol Testing.